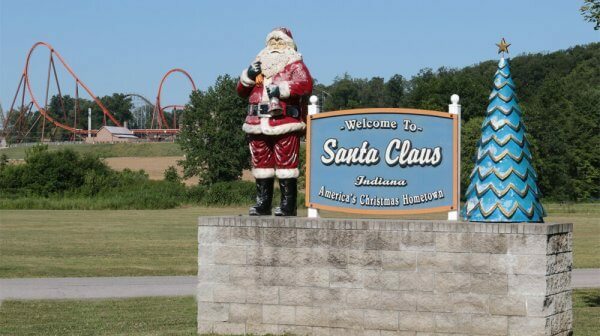 There’s only one place that brings you the magic of Christmas and historical, outdoor adventures, and it’s right here in Santa Claus, Indiana, and sites throughout Lincoln’s Indiana Boyhood Home. Last year we brought you 54 Things To Do, a list that surely took all summer to accomplish! Wine slushies on the porch at Pepper’s Ridge Winery are the perfect way to chill out. Stop in the Visitors Bureau and use our selfie stick for a #santaselfie. There are even three Santa statues to pose with outside our front door! Lincoln Pines Lakefront Resort lets you soak up the camping vibes, but provides all the amenities in a furnished cabin. Stop in the 19th Hole for breakfast, lunch or appetizers after you get in a couple of rounds at Christmas Lake Golf Course. Drop a line in the lake off the balcony of your waterfront cottage at Santa’s Lakeside Cottages. Stop by Monkey Hollow Winery and Distillery for a taste of their first distilled product – Monkey Shine! Have you tried the specialty pizzas at Frosty’s? We like the spicy buffalo chicken! Pack up the family for a double feature of the latest movies at the Holiday Drive-In. Find out what’s playing here. Visit Splashin’ Safari, the nation’s #1 water park, according to USA Today. 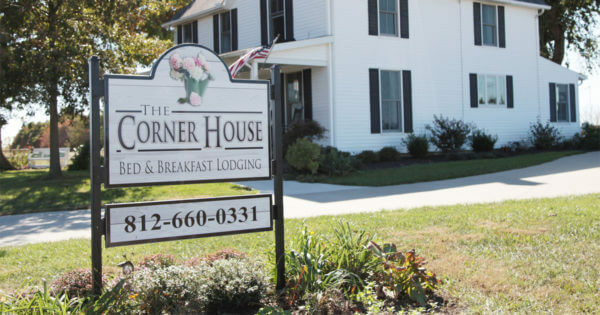 Corner House B&B is the perfect place for a girls getaway. And it’s within walking distance to Pepper’s Ridge Winery! Pick up some juicy, locally grown peaches from the family-owned Lakeview Orchard. Get a jumpstart on your holiday shopping with a trip to Santa’s TOYS. Plan a vacation with your extended family. There’s room for everyone at the spacious Mistletoe Manor. Improve your swing at the driving range or practice green at Christmas Lake Golf Course. Keep your whole family in the spacious Blackhawk Creek vacation rental. This well-kept home sleeps up to 14 comfortably. Grab an ice cream from Fat Daddy’s Grill & Chill on one of those hot, Indiana summer days. Get a personalized ornament at the Santa Claus Christmas Store. It’s the perfect way to remember your trip! Sleep in a tent under the stars or rent a cozy cabin at Lincoln State Park. 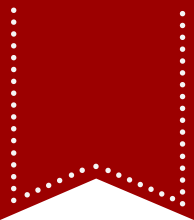 The Santa Claus Post Office is the only post office in the world with the Santa Claus name. Stop by and see some of the holiday postmarks from over the years. 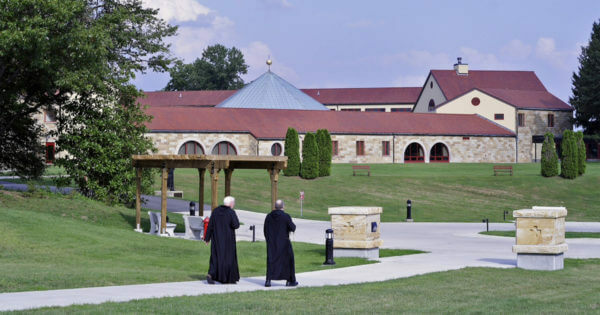 Stay in the Saint Meinrad Archabbey Guest House, and join the Benedictine Monks any day for prayer or Mass in the Archabbey Church. Tantalize your taste buds with a wide assortment of gourmet popcorn at Santa’s Candy Castle. Stop in Steckler Grassfed’s farm store for their locally raised organic meat and poultry. Their organic cheese is also a local specialty! Plan a picnic along the Ohio River Scenic Byway at Lincoln Ferry Park. Order off the menu or enjoy the buffet, surrounded by a Christmas atmosphere, at St. Nicks Restaurant, inside Santa’s Lodge. Stop by the historic Spencer County Courthouse. It sits near the Ohio River where young Abe Lincoln left for New Orleans on a flatboat trip that opened his eyes to slavery in the south. Camp at Lake Rudolph Campground & RV Resort and take advantage of convenient tram available to take you Holiday World & Splashin’ Safari, right next door. 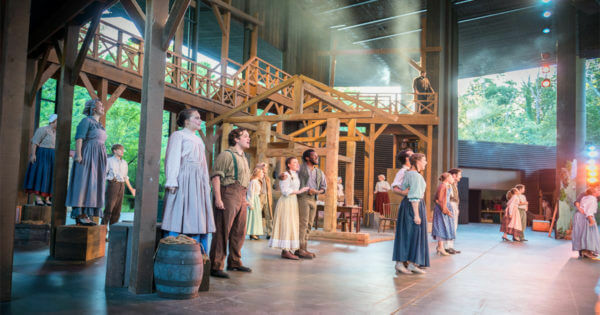 Catch a show at Lincoln Amphitheatre. From nationally touring acts to tribute bands and live performances, there’s a show for everyone. After a long day of fun and sun, order your favorite feast at Denny’s. Learn the history of the town of Santa Claus at the Santa Claus Museum & Village. Stop by The Rustic Golf Course and Restaurant for a game of golf or just to grab a lunch or dinner special. Grab your family and friends for a friendly, pick-up game of softball, volleyball, or soccer at Yellig Park. Try complimentary wine samples at Monkey Hollow Winery and Distillery. While you’re staying at Lincoln Pines Lakefront Resort, tour historic cabins on the grounds. Visit the Archabbey Giftshop for their handcrafted foods and gifts from Saint Meinrad and other monasteries. Did you know Pepper’s Ridge Winery uses local peaches? Sip on their Lakeview peach wine named after the orchard where the peaches are grown. Try out new recipes with seasonal produce from Pumpkins and More Farm Market. Santa’s Lodge isn’t just a place to stay, it’s a place to play! 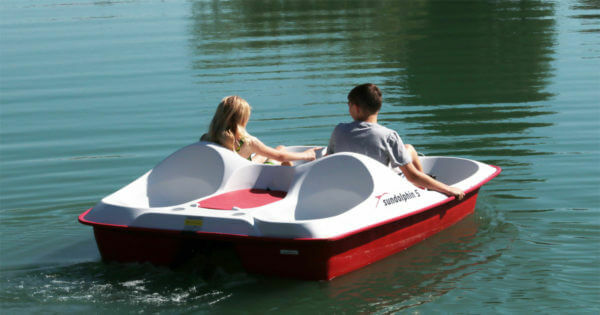 Enjoy the zip lines, rock wall, swimming pool, or take the paddleboats for a ride around the lake. Get your hands on your favorite hard-to-find candy at Santa’s Candy Castle. Try out a new campfire recipe while you’re camping at Lincoln State Park. Choose the best day and price to visit Holiday World & Splashin’ Safari with the Pick Your Price tool. Make a special trip out to Monte Casino Shrine in St. Meinrad, Indiana, and learn the story behind this small chapel. Don’t miss your opportunity for a pony ride at Santa’s Stables. There are so many things to do. You better start making your list, and checking it twice!